Well, it is. 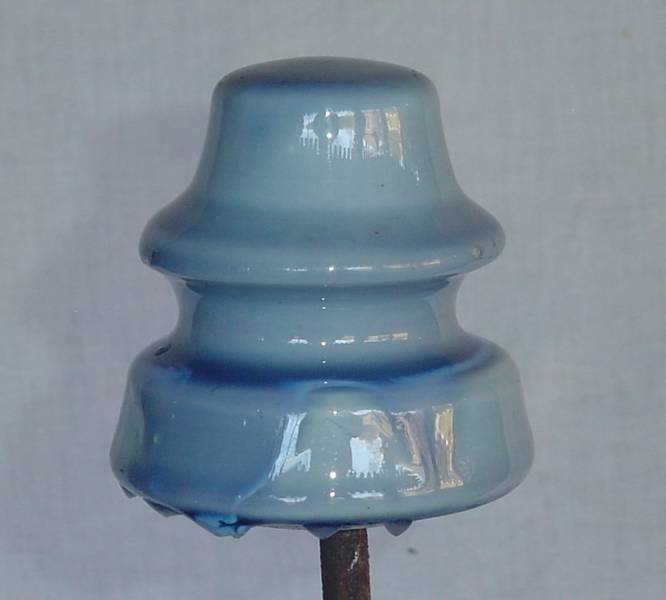 On the way to the Mid-Ohio show, I bought two insulators at an antique mall. Even if it is unmarked, the colour, the sloppy glaze and the solid glaze drips, were just to much to pass by for $3.